Published Bestsellers: Crime detective writer's novel combines old-fashioned detective work with the picturesque setting of rural England. Crime detective writer's novel combines old-fashioned detective work with the picturesque setting of rural England. "My novels are mostly set in the county of Worchester, which provides just the sort of rural environment suitable for intellectual games in the mould of the classics of British crime fiction: country houses, quaint villages, gentle hills, calm rivers, tranquil country lanes, views across farm-speckled valleys, and plentiful woodland ringing with the sound of bird-song. In a way my novels attempt to capture a more gracious age than our own, when the countryside was inhabited by farm-workers, when the roads were not so noisy and before the age of mass entertainment," said Julius Falconer. "Readers will love this book from Julius Falconer. The reviews of the Julius Falconer Series have been overwhelmingly positive and the readers seem to appreciate that Falconer takes them back with a good, old-fashioned detective story. We're sure that 'The Wichenford Court Murder' will delight old fans and create more than a few new ones for Falconer," said Vivian Akinpelu of Pneuma Springs Publishing. Julius Falconer, a member of the Crime Writers’ Association and retired teacher writes detective stories that are clever, witty, erudite and stylish. 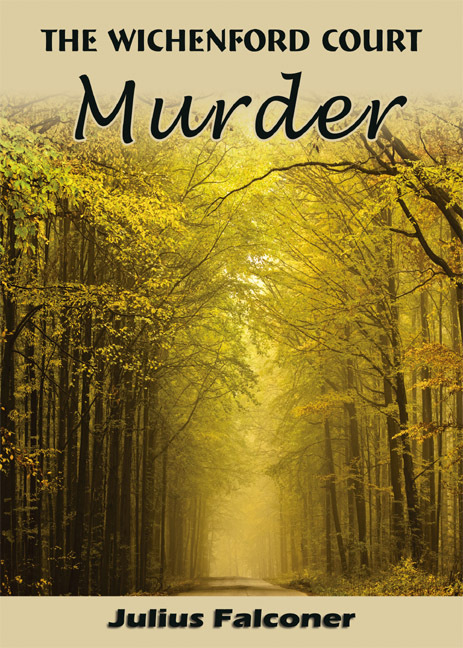 The novels are a genuinely refreshing approach to good old murder mystery, a new style of penmanship for the hardened mystery fan.